Name of the bank: Delavska hranilnica d.d. ​Please write “donation” as subject of your transaction. We have chosen a Slovenian bank that doesn’t take any commission on receiving donations from Slovenia or abroad. If the donation is sent a currency different than EUR, the bank will charge a commission for the exchange. If you send it in EUR, the bank will not take any commission. Thank you. 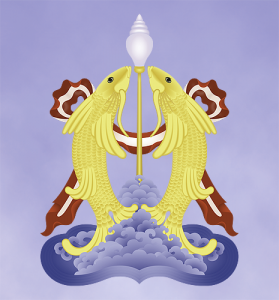 The two fish were originally symbolic of the rivers Ganges and Yamuna, but came to represent general good fortune for Hindus, Jainists and Buddhists. 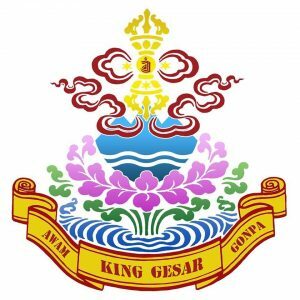 Within Buddhism, it also symbolizes that living beings who practice the dharma need have no fear to drown in the ocean of suffering, and can freely migrate (chose their rebirth) like fish in the water.